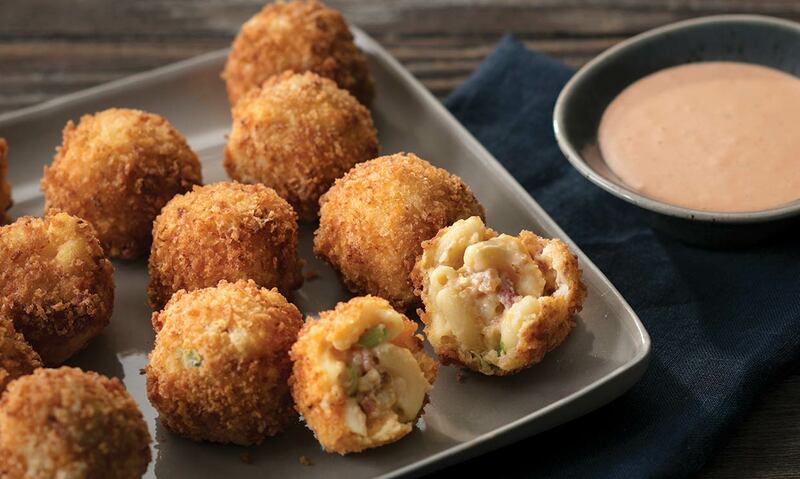 Voted by our employees as the best game day recipe, you’ll be a winner, too, when you serve these cheesy bites! 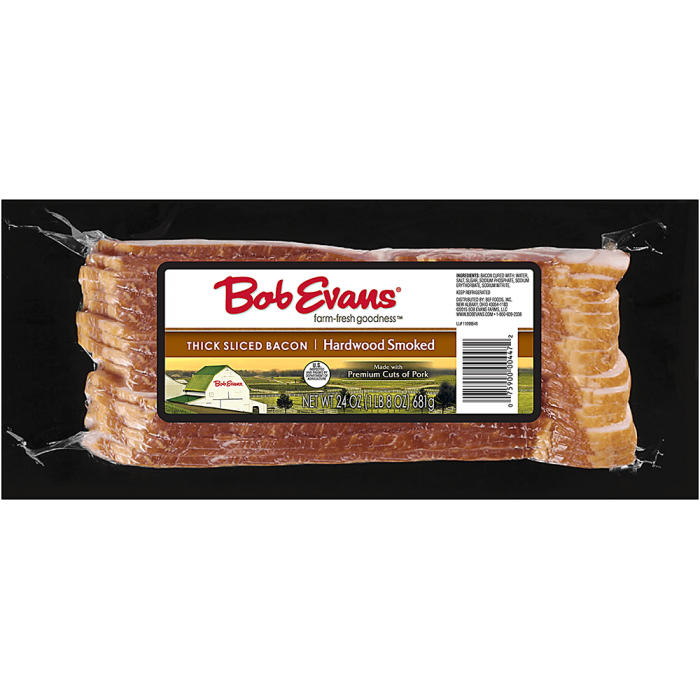 Fry or bake bacon until crunchy. Chop. With a mixer, mix cream cheese with one egg until well blended (if hand mixing, use room temperature cream cheese). In a large bowl, add cream cheese mixture, bacon, macaroni and cheese, shredded cheddar & Parmesan cheese, 2 tablespoons bread crumbs, pepper, garlic powder and green onions. Mix until well blended. Using a 1 oz. scooper, scoop macaroni mixture into bite sized balls. Mix Sriracha Ranch Dipping Sauce ingredients together. Serve on the side. 1 Fry or bake bacon until crunchy. Chop. 2 Finely chop green onions. 3 With a mixer, mix cream cheese with one egg until well blended (if hand mixing, use room temperature cream cheese). 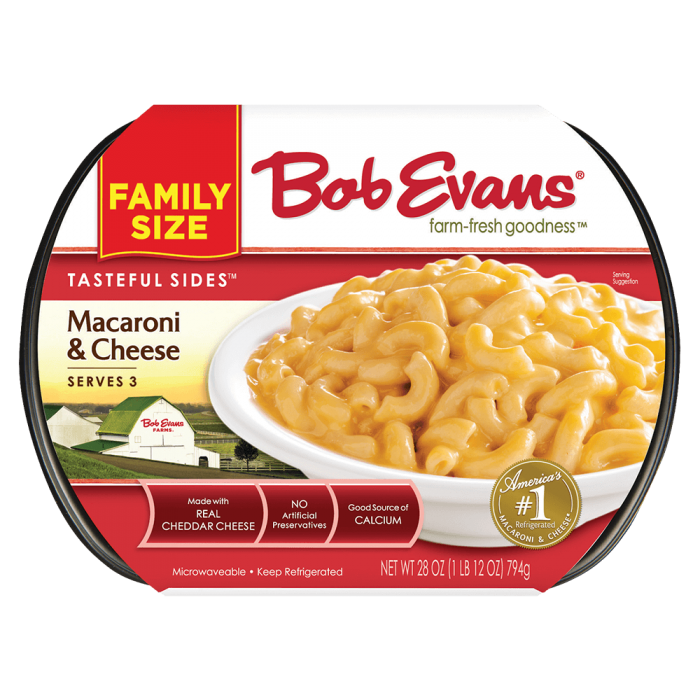 4 In a large bowl, add cream cheese mixture, bacon, macaroni and cheese, shredded cheddar & Parmesan cheese, 2 tablespoons bread crumbs, pepper, garlic powder and green onions. Mix until well blended. 5 Using a 1 oz. scooper, scoop macaroni mixture into bite sized balls. 6 Coat lightly with flour. 7 Dip in egg wash.
10 Mix Sriracha Ranch Dipping Sauce ingredients together. Serve on the side.